This is a sponsored post for Groupon. All thoughts expressed are my own. Some people hate couponing because the task to cut, clip and organize coupons is tedious. I don’t coupon as much as I used to because I just don’t have the time like before to hunt down the deals and then try to run to the store to snag a newspaper with an antsy toddler in tow. That’s why I love sites like Groupon where they make it easy for you to save since they provide the coupons right on the website which makes saving virtually effortless. First and foremost, sign up and create an account. If you aren’t a member, you can’t save! Check the Groupon coupons section and save on sites like Target Photo and Diapers.com. There are numerous sites that Groupon offers discounts for. The two mentioned above are just a couple that I use religiously. Browse the Groupon clearance section. Yes, there’s a clearance section for goods that didn’t sell well or are seasonal. I didn’t even know about this when I first started on Groupon. Just goes to show there’s new stuff to learn and multiple ways to save a few bucks if you search for it. Download the Groupon App and set it so notifications pop up. There have been numerous times where I’d get an alert of a discount code that was 10$ off any local deal purchase that was specifically for app users, which resulted in me scoring a really inexpensive night out for drinks. Refer your family and friends.When they sign up under your referral link and make their first purchase you get $10 in Groupon Bucks which can be used for anything on Groupon. Do you have anymore tips or recommendations for Groupon savings? Groupon Coupons is awesome. I’ve been using it ever since I heard about it, and I’ve saved a ton. These are great tips. I love Groupon Coupons. I didn’t realize I could get some extra Groupon goodness if I referred others. OK, I have to admit I’ve only vaguely heard of Groupon. I had no idea it did all that! Awesome tips! I’m a big fan of Groupon. Who knew they had a clearance section. Will be checking that out pronto! I just love Groupon Coupons. You can find a deal on just about anything! Makes you wonder why you ever paid full price in the past. Groupon coupons offer so many unique ways to save. You can save on anything you would need to buy and it is so simple to use. Groupon coupons are so helpful and has a lot of awesome deals! Grouponing is something I have not done yet but my son does and he saves a lot of money. I am doing this year though for the Christmas shopping for sure. Thanks for sharing the information. I love Groupon! I have used it for a lot! I am going to have to check out Groupon Coupons though! I love Groupon Coupons and I make sure to check them every time I need to make a purchase. These are great saving tips! I love using Groupon. My husband has purchased several things on Groupon this year. uprunforlife recently posted…Acai Berry Supplements: What’s In It For You? Great tips. I love using Groupon. You can find so many great deals on there. I love groupon, you can really save a lot of money on all of your favorite things with them. It’s such a great service! Groupon is a great way to save money. I always check to see what deals I can find before I buy anything. I’m Groupon obsessed!!!! I’m always scoring killer deals on that site!! Especially for travel! Another tip I guess I would say is to sign into your Ebates account first and then check out with Groupon! I love Groupon! I always check Groupon for deals before I buy something. Usually I can get an awesome deal with them. I check my Groupon app daily and I’ve already enjoyed a lot of savings there. Gotta love Groupon! 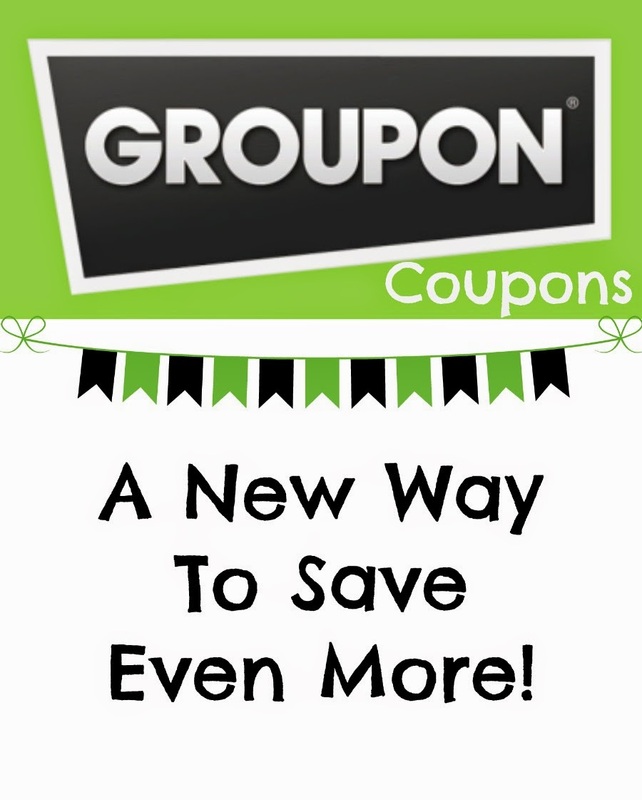 I use Groupon… i think it’s a great site to find discounted deals, such as restaurants and things to do! I JUST bought a Groupon experience for a local attraction in my area, but I always forget about their coupons. Definitely a good place to check first! Saving money is always great, but this makes it easier. It’s gotta be easy or my lazy self won’t do it. Groupon is my go-to place when I need to save money on certain items! They have a little bit of everything! Groupon is literally one of my favorite places to shop! I love that you can find activities and give them to people as gifts. So much better than a boring gift that they aren’t going to want. I didn’t know about the coupons but I will have to look into it now. Thanks! I love groupon! i only use their app, and didn’t know about the clearance! woohoo!